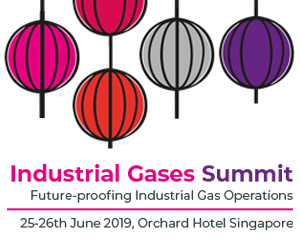 The industrial gases sector once again experienced strong growth in 2004 – driven by increased gas volumes from end-user industries, boosted by the strengthening economies and the demand-pull from China. There was also continued acquisition activity which also had a positive impact but also there was significant contribution from the weakening US$ - which boosted sales of gas companies such as Praxair and Air Products during the year. According to Spiritus, the leading industrial gas consultants, the gases business reached US$ 44.5 billion in 2004, up 12.5% over 2003. 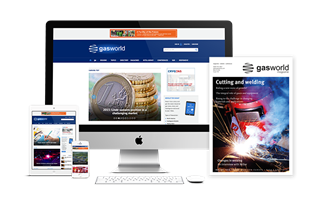 (The valuation of the gases business is based on sales of gases and services to the end-user industries such as refining, chemicals, steel and manufacturing). Spiritus estimates that the underlying growth for the industry was closer to 8.5% - this reflects higher gas volumes in the existing business and a marginal improvement in pricing. We have analysed the top 7 gas companies as a guide to the performance of the industry and the growth drivers are shown in Figure 1. Spiritus believes that additional acquisition activity outside of the core 7 major international players amounted to $1.7 billion in 2004 (in total) – but within the core 7, a significant amount of this was related to the divestments and down sizing of the Messer Group (a former Tier 1 company) and the merger of Nippon Sanso and Taiyo Toyo in Japan. Revenues were boosted by $170 million due to the higher natural gas prices observed in the US and Western Europe, which applied mainly to the hydrogen business – which continues to grow strongly. Natural Gas prices steadily increased through the year to reach an average of 6.5 million BTU in North America while in Europe there was an average price of €3.75 per GJ. However, despite these “external” influences of acquisitions, natural gas and currency effects, the underlying business showed strong growth and the indicators are that this is set to continue through 2005 and into 2006. All major gas companies experienced increased sales of major gases such as oxygen, nitrogen, argon and hydrogen. The demand pull from China for both steel and petrochemical products boosted production levels in all regions as well as in China itself. Figure 2 shows the market share for the global gases business based on consolidated revenue streams from actual gas activities only. Air Liquide maintains the No.1 position in the industrial gases business and in fact increased its market share through the acquisition of Messer’s US, UK and much of its German business in May of last year. Praxair maintains the No.2 position in terms of revenues followed by Linde, Air Products and BOC. These figures may differ from those reported by the gas companies but represent the true size (and therefore market share) of the retail gas market which excludes non-gas related business, such as power generation, dedicated LPG businesses, wholesale activity and special equipment. In the case of BOC we have taken out their share of equity affiliate revenues to place them on an equal footing with the other players. Figure 3 shows that if equity affiliate income is taken into account the picture does change, as both BOC and Air Products have significant business associated from “minority” (50% or lower) held positions in companies. Spiritus believes that while the 7 major gas companies account for approximately 75% of the gases business – there are indeed an estimated 4-5 000 companies serving the remaining 25% of the global market. 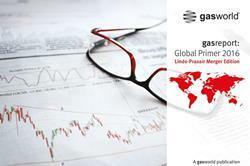 We estimate that the gases business in Europe reached $15.2 billion in 2004 – an actual increase of 14% over 2003. In actual Euro terms – this increase was actually 4%, showing the significant impact of the weakening US$ against European currencies. The West European zone increased in value by 14.6% in US$ terms but only 4.3% in Euro terms where as the strengthening of the Euro had an impact on East European growth – which in US$ grew by 13.1% but only 3.0% in Euro terms. There are clear differences in growth trends across Europe – with some countries showing slow or flat performance (Denmark, Norway, Germany and Switzerland) and others showing a strong growth trend (e.g. Italy, Spain, Belgium and Hungary). There was some significant activity with sizeable projects coming on-stream with Air Liquide befitting from hydrogen start-ups in Belgium and Spain. However, the major change in Europe was the divestment and restructuring of the Messer Group (see Stefan Messer Interview in this Edition). Air Liquide strengthened its position in Germany and gained a serious position in the UK market for the first ever time. 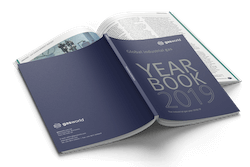 While the divestment and re-structuring process has been well commented on last year – the main differences have been in the market positions of various companies due to the re-structuring. Several of the major gas companies have announced major plans or projects for Europe in 2005/6 including additional hydrogen projects and also new ASU capacity. This will be a major driver for growth in Europe. Also the medical homecare market continues to grow strongly. More details on the European market will be provided in June’s Edition. 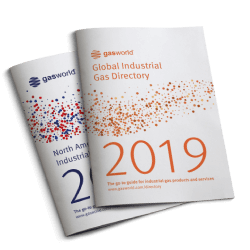 Strong demand for steel and petrochemicals will continue to drive up industrial gas volumes – with most growth expected in chemicals (which includes refining operations). 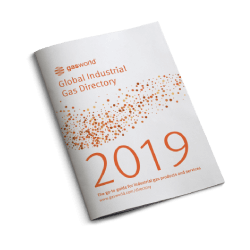 While there is an evident shift in manufacturing operations from traditional markets such as the US and Western Europe to Eastern Europe, India and China – manufacturing industries still accounts for 30% of the total industrial gas demand. Other sectors such as glass, pulp & paper and food, while having a lower gas intensity – are faster growth markets. The higher value of oil is also contributing to the increase in industrial gas activity on two fronts. Firstly, manufacturers that use oil, oil derivatives and even natural gas in their processes look for savings when oil prices move above $25-30 a barrel. Using industrial gases, especially oxygen can help maintain output but reduce fuel consumption in furnaces and therefore reduce unit costs. Secondly, oil companies have much higher cash flow to invest in downstream projects and we have seen over the past 2 years a large pick-up in petrochemical project activity across the world – especially in the Middle East. Several of these major projects will require increasing amounts of industrial gases supplied by the gas companies. However, there has been a large amount of interest in the gas-to-liquids (GTL) projects planned or announced, particularly in the Middle East. 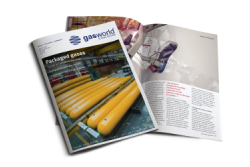 To date, the two main projects announced – in Qatar and in Nigeria - have gone to a plant sale project rather than an on-site supply scheme owned by the gas companies. These two projects have an oxygen requirement of 7 000 tons per day each. A larger project announced by Shell for Qatar will require an initial 14 000 tons per day with a second phase, similar in size. Estimated investment in the air separation plants only for all three projects (including associated equipment) will be in the order of $1.5 billion but the indications are that this will be equipment or plant sale as well but the size and nature of the projects may allow the gas companies to participate through operational and maintenance contracts rather than pure on-site supply schemes. There are additional projects geared for Qatar with estimates that 60 000 tons per day of oxygen capacity may be operating by 2010/12. Hydrogen will be a large driver to growth in the next 2 years. The increasing trend by refiners to outsource hydrogen supplies allows the major gas companies to continue to grow their business portfolio in hydrogen. Five majors – Air Liquide, Air Products, BOC, Praxair and Linde have all announced hydrogen to be a major strategic initiative. 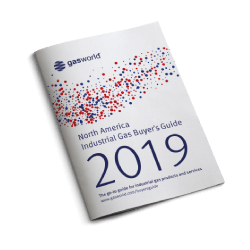 Analysts are worried that this will result in gas companies actively competing for the business – leading to lower returns on their investment. Spiritus believes that the increased demand for hydrogen and the large volumes required in a number of regions will mean that gas companies can be more selective in the projects they wish to bid and therefore will be able to maintain profitable growth over the next 5 years. 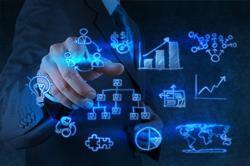 Based on their prudence in capital expenditure, there are more than enough business opportunities. Spiritus believes that the strong growth in 2004 will be carried over to 2005 and 2006. Although the recently declared 1st quarter sales of Air Liquide were lower than analysts had anticipated compared with the previous year (see the Financial News Section), Spiritus is anticipating a global growth in gases of around 7% in 2005 (on a constant currency basis).